Validate and update your knowledge regularly and research what you need to know. A the end of this post we have provided links to benchmarking data to assist you. To help you schedule and build a budget we have provided a link to a "Proactive Budget Worksheet" at the end of this Post. Instructions are provided within the spreadsheet and it allows you to enter your own time to complete each Action. 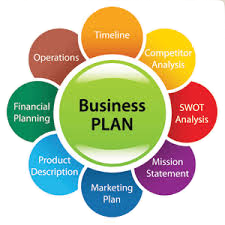 Below includes links to a Business Plan template that you may wish to use. It contains lots of headings for all types of businesses so please remove what does not apply to your business.